Many experienced shooters report the larger Classic Soft Release and the smaller MiniSoftRelease button actually helps take sharper pics. By helping you squeeze the shutter more gently, there is less camera movement and sharper pics. They are one accessory which can help you take better shots -- if you are careful shooter. On the other hand, if you're the type that clinches down on your shutter release with the 2,000 lbs. psi jaw strength of an alligator, it's not going to make much difference if you use a soft release or not, or what type of lens or film you use, or even if you bother to load your camera with film at all. The larger Classic size is best for a Leica M body (except the M240 and ME) -- BUT the Mini is more versatile as it will fit cameras the Classic will not while STILL fitting Leica M bodies as well. 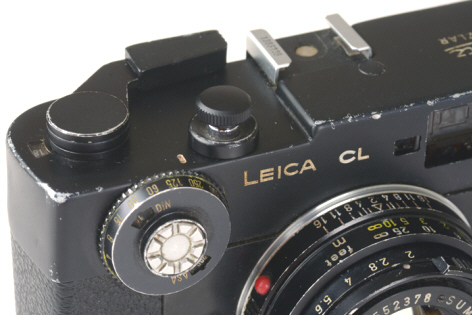 Please note that Leica changed the shutter release thread on the M240 and ME, which means you must use the M240 version of the Classic Soft Release on those cameras. They are other soft releases on the market. Why use Tom's? It's better. Seriously. 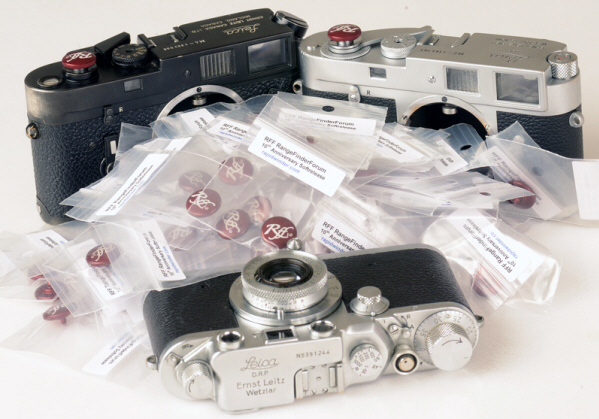 Standard MiniSoftRelease for Voigtlander Bessa R3M, R2M, R3A, R2A, R2, R, T, and L (not R2S & R2C) Black or Chrome (AND most cameras using standard mechanical cable releases). 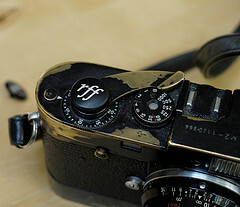 So what kind of a photographer would shoot with an old beat up Leica CL like this one? A photographer named Al Kaplan. The MiniSoftRelease is a simple idea, but a great idea. The difference will surprise you. What's a MiniSoftRelease? Well, it's not anything you will find in the Kinsey report. 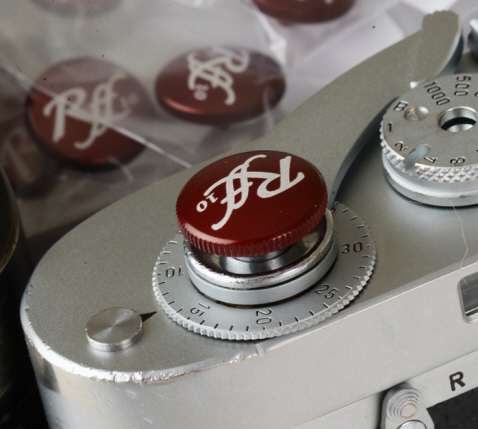 A MiniSoftRelease is the mini version of Tom Abrahamsson's popular Soft Release button which improves even the likes of the fabled Leica M6 and M7. Either big or small version might seem a bit un-necessary, UNTIL you try them: then you will understand. These darn things make picture taking bit easier, faster and smoother. For only 15 bucks you will have a hard time finding a more cost effective improvement to your Cosina Voigtlander Bessa -- or Leica M for that matter. 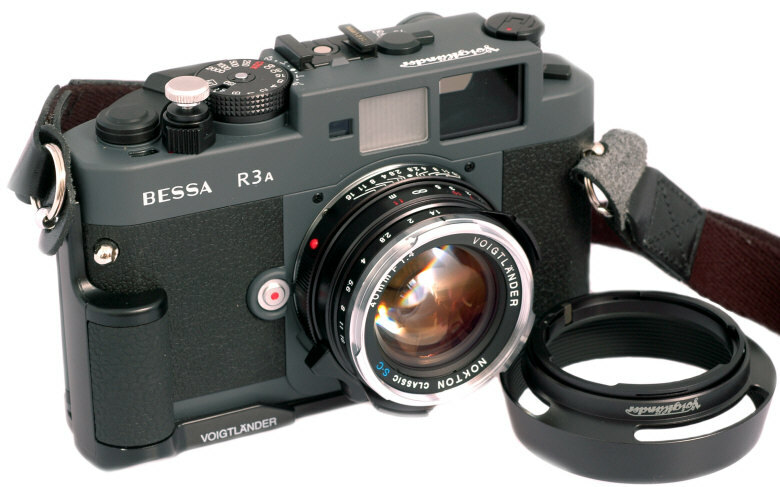 The Bessa's shutter release is smooth and comfortable, but Tom Abrahamsson's MSR in Chrome or Black make it better. If you own the Cosina Voigtlander Bessa L, T, R or R2, buy the MiniSoftRelease. How does the MiniSoftRelease work? Just gently screw it clockwise into the threaded cable release socket atop of your shutter release. According to my super precision $1.00 closeout sale plastic calipers, the MiniSoftRelease measures 10 mm in diameter and adds an astounding 4 mm in height to your shutter release. Like most mechanical cameras (and many electronic cameras), the Cosina Voigtlander Bessas use a standard inexpensive mechanical cable release via the threaded socket on the shutter release.. The lowly mechanical cable release was never appreciated much, until some diabolical camera designer from the dark side realized they could squeeze out another $50 per sale by requiring the damned specialized electronic cable releases which are only good with a particular camera. To make it worse, you have to buy different @&*~#! electronic shutter releases for different @&*~#! electronic cameras. grrrrrr. 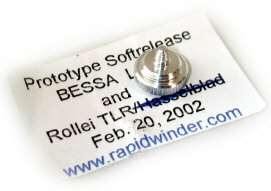 Construction: Unlike cheaper stamped competitors, the MiniSoftRelease is machined from quality aerospace alloy on a CNC (computer numerically controlled) machining machine. It will NOT bend and break off from your shutter release. 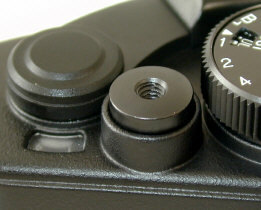 The edge is knurled to easily mount, or un-mount it. Two colors are available: chrome or black. Some photogs use the different color Soft Release to indicate different types of film loaded in the camera. About the only negative I can think of is the MSR will help you take pics a bit easier, even if you don't mean to. In other words, the raised shutter height of the MSR will inadvertently trip your shutter faster and better in your camera bag if the camera is put away with the shutter cocked. This strikes me as a small price to pay for its benefits. 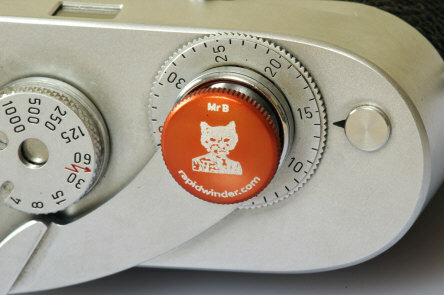 The MSR will fit on the Bessa R2S/C, but not as well. Cosina changed the cable release thread on the R2S/C for some reason. Now the MSR will not screw down as far into the cable release socket. Gray Voigtlander R3A with 40/1.4 SC Single Coat lens, side grip, deluxe strap, LH-6 lens hood and Abrahamsson Mini-Soft Release. 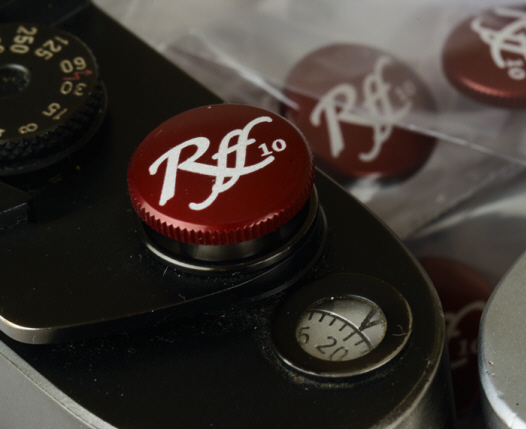 Most mechanical fixed lens rangefinders, including the compact '70s rangefinders. A notable exception is the Minolta 7sII. Will the MiniSoftRelease Fit YOUR camera? 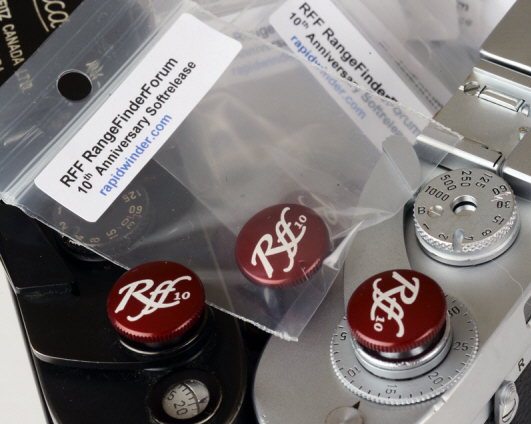 IF your round shutter release button has a threaded socket for a mechanical cable release, the chances are the MiniSoftRelease will work. 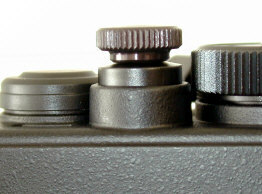 The MiniSoftRelease will NOT fit cameras requiring a cable release adapter which fits OVER the shutter release (instead of screwing INTO the shutter release), such as Nikon rangefinders, classic Contax Rangefinders, Nikon F and F2, and Leica screw mount rangefinders. ONLY 100 Produced! Get them while you can ! As you can see, they came out BEAUTIFULLY! Ever wonder what 100 Soft Releases look like? Props are a Midland M4, military M2S, and unmarked IIIC K.
Only 99 of each size produced world wide! Only 85 Produced World Wide! Sold Out. 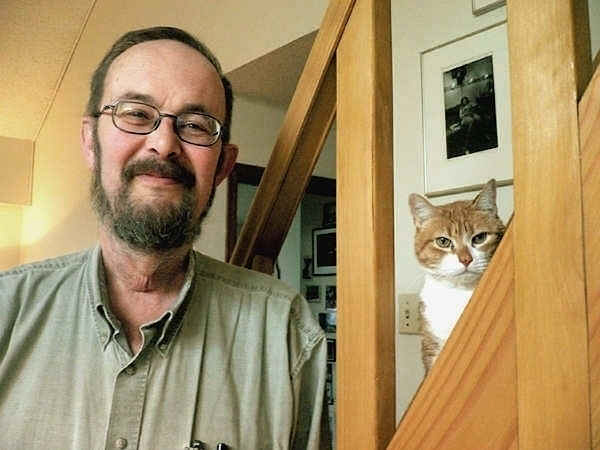 This special limited edition Mr. Barnack the Cat Softie was produced by Tom Abrahamsson of Rapidwinder fame in December 2009. The first edition as shown here had a total world wide production of only 85 units! 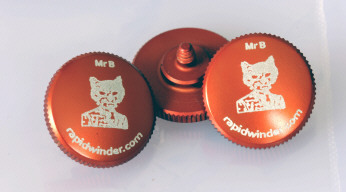 It proved a quick sell out at Rapidwinder.com! he is determined no more will be produced in this distinctive 1st edition color scheme! Revised: September 11, 2017 . Copyright © 2002-13 Stephen Gandy. All rights reserved. This means you may NOT copy and re-use the text or the pictures in ANY other internet or printed publication of ANY kind. Information in this document is subject to change without notice. Other products and companies referred to herein are trademarks or registered trademarks of their respective companies or mark holders.